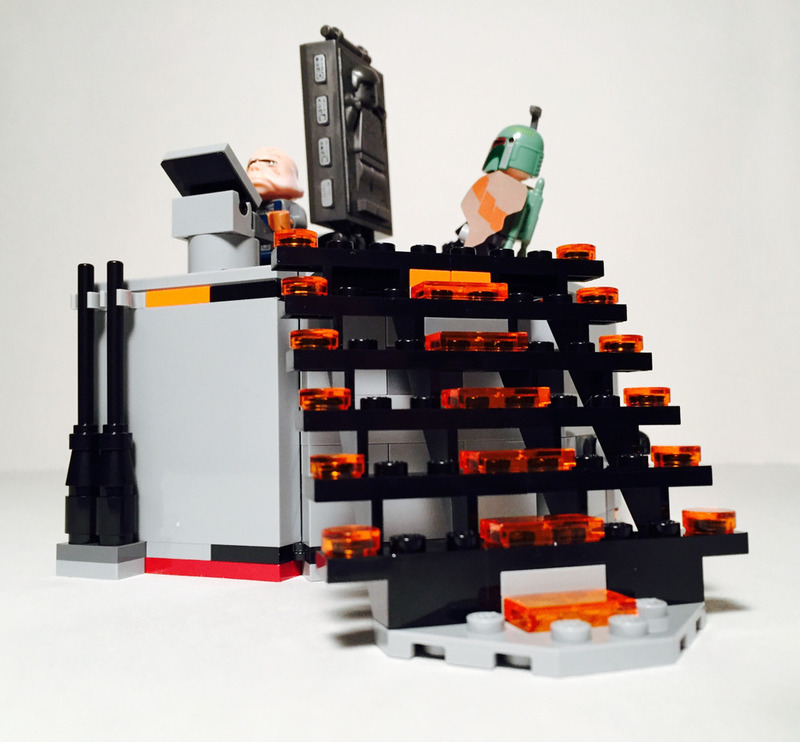 The LEGO Star Wars Carbon-Freezing Chamber et represents one of the most dramatic and pivotal moments in the entire Star Wars saga - the emotionally-charged moment in The Empire Strikes Back when Han Solo is frozen in carbonite. It’s an iconic cinematic piece which will always be a part of our pop-culture consciousness. This LEGO set, on the other hand, will not. The build of the Carbon-Freezing Chamber set is surprisingly complex considering it’s small size. 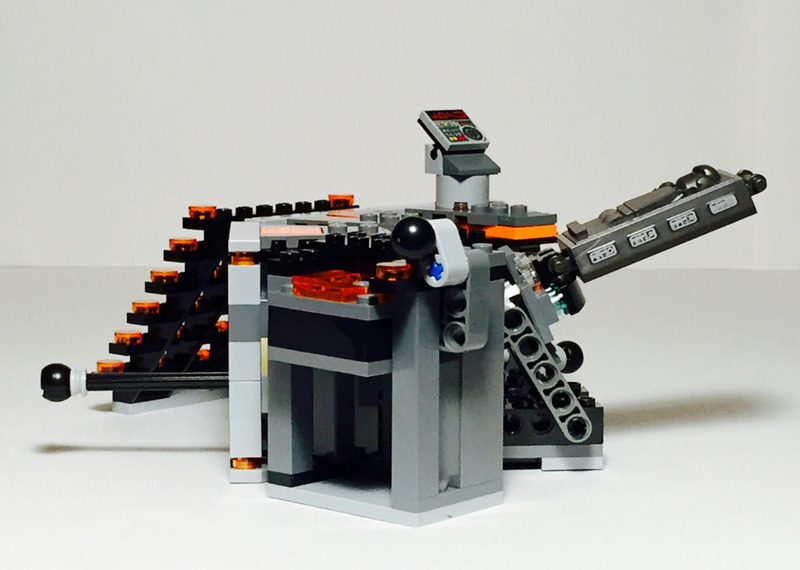 A lot of Technic parts are used toward the beginning of the build to set the stage for the sets main play feature [which I mention below]. 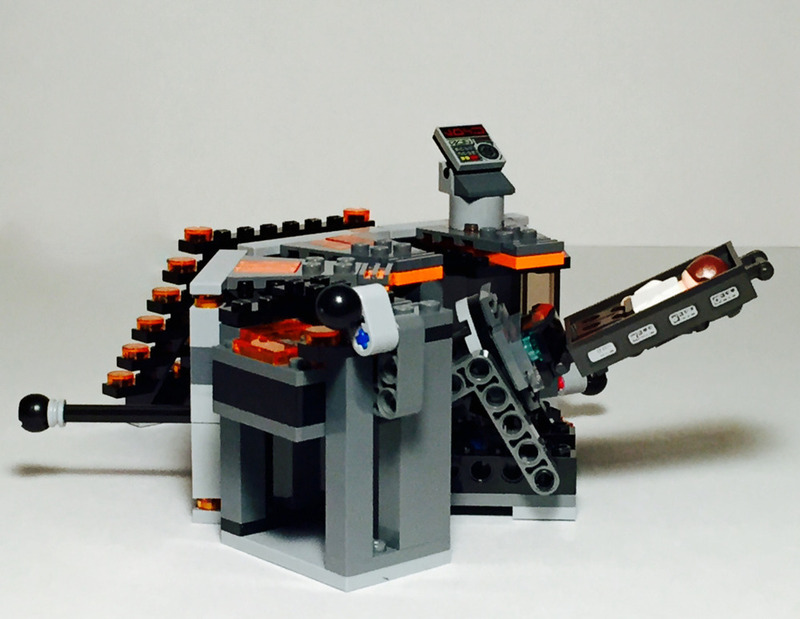 The feature requires a lot of moving parts and slightly raises the complexity of the build. One thing I really love about this set is the amount of trans-bright orange pieces strategically placed throughout the set to represent the orange glow of the platform which is how the platform is represented in the actual film. I almost wish they would have included more trans-bright orange pieces to give the overall set an even more ominous orange glow just as the chamber is made to look in the film. The set does include one printed piece which acts as the carbon-freezing controls. The display-value of this set is not great. In fact, I don’t see any display-value to this set at all. The in-universe chamber seen in the film is a full circular platform. This set only gives us half of the actual platform represented in the film. I realize that this is a fairly low-cost set and not all LEGO sets need to accurately and perfectly duplicate its in-universe counterpart, but in this case it just makes for an awkward, half-complete, gaping set. I would have loved if this set were a bit more expensive and included the pieces to create a full circular platform. This would not make a number of the play features included in this set possible - as we’ll see - but it would have made for a much better overall set in respect to both play value and display value. 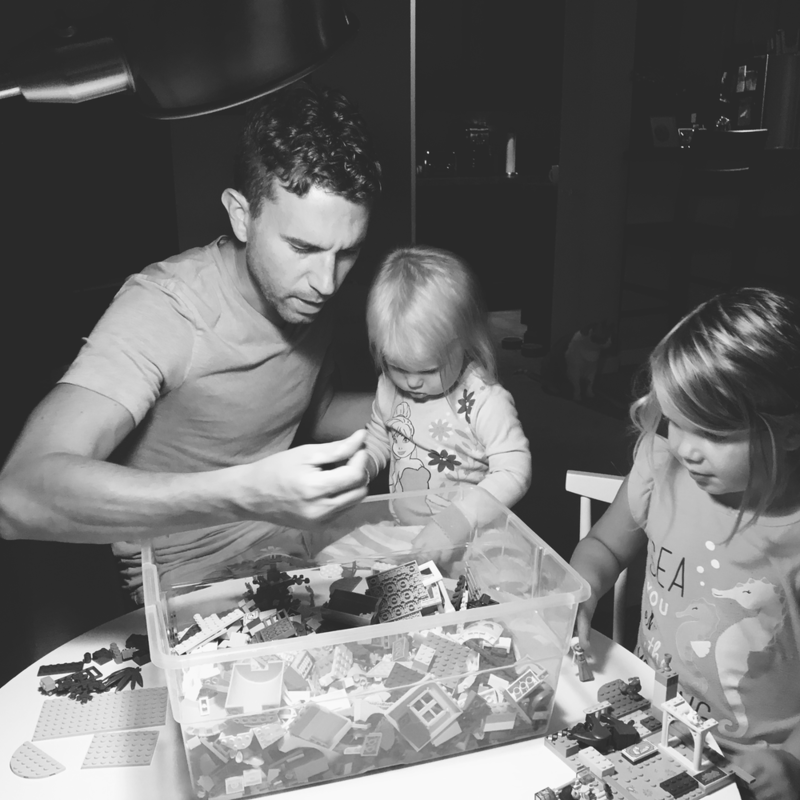 There are two additional, small play features found with this set. My favorite play feature is the simplest of all the play features included. It is a small elevator which can be used to access the platform. It works very well and serves its purpose. You can bring the elevator up and switch the latch on the right to keep it supported in the top-of-the-platform position. The last play feature is a little confusing, and I hesitate to even mention it as a play feature. It is, however, highlighted as a play feature on the back of the set’s box, so it is considered to be an actual play feature of the set. 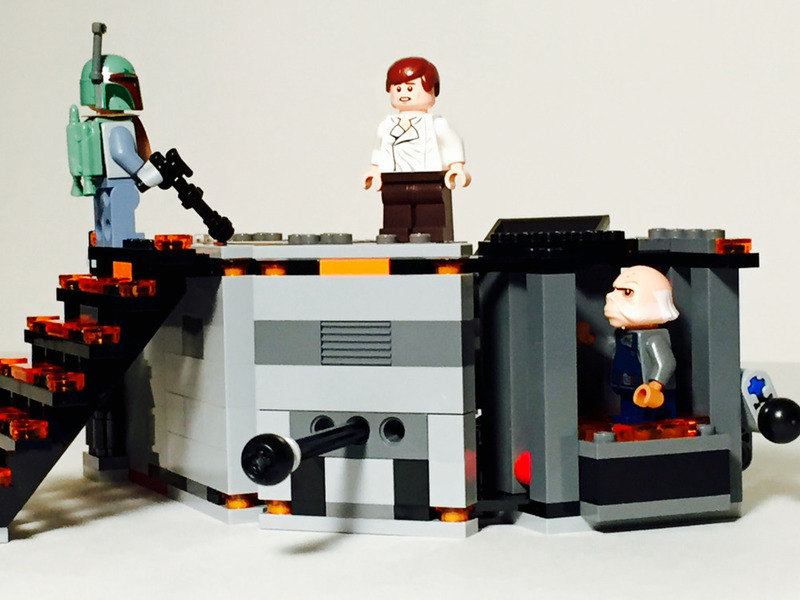 The purpose of the feature is to allow a place to store Han’s minifig after he’s been frozen in carbonite [at least, I think that’s feature’s purpose]. Located on the left-hand side of the set and below the platform is a black H Plate  piece on which you can attach Han’s minifig at the legs. You can then use the technic ball to lift Han so that he almost is hidden. Again, this is a seemingly-unnecessary feature, and I don’t see it increasing the play value for children. Above image comes courtesy of BrickSet. I forgot to take a photo of this feature before disassembling the set. This image will be updated to an original soon. The minifigures are the true highlight and saving-grace of this set [I’m including the frozen-in-carbonite Han as part of the minifig offering - because it’s so cool]. Honestly, the minifigs alone justify the price of this set [which is $24.99 as of the writing of this review]. Attempting to locate and purchase these minifigs separately would almost certainly cost more than the price of this set. 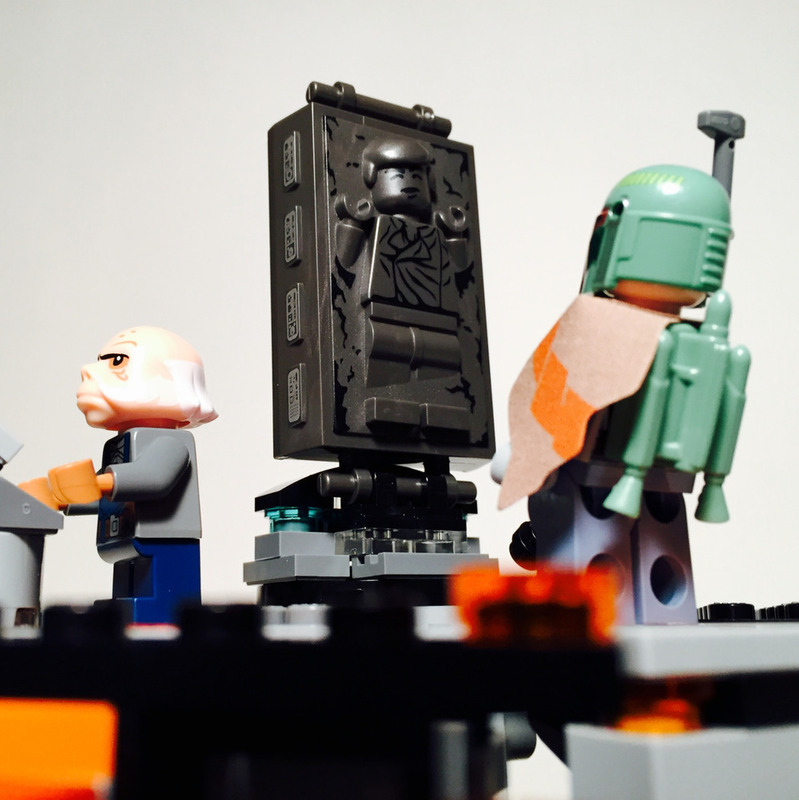 LEGO has finally provided us with a cheap way to obtain an almost-UCS version of Boba Fett [thank you, LEGO!]. In addition, we get an exclusive Empire-Strikes-Back Han Solo along with an exclusive Ugnaught [Ugnaught fans, rejoice!]. 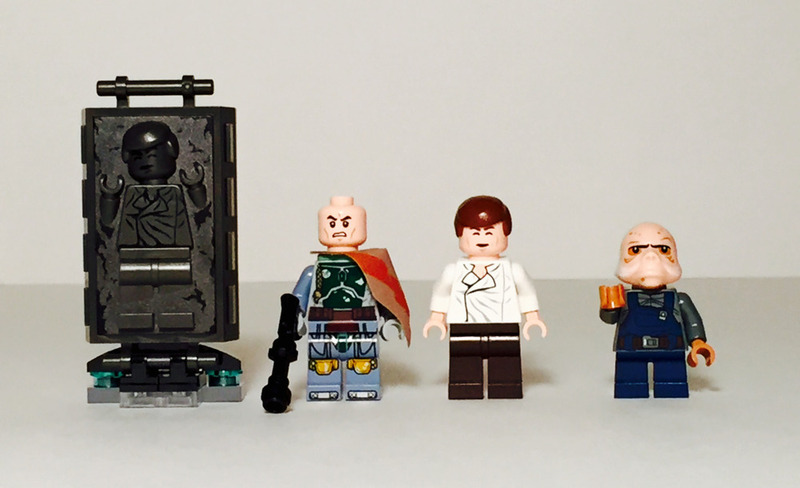 If you’re in the market for an affordable way to obtain a Boba Fett, Han Solo, and Ugnaught minifig, than this set is for you. 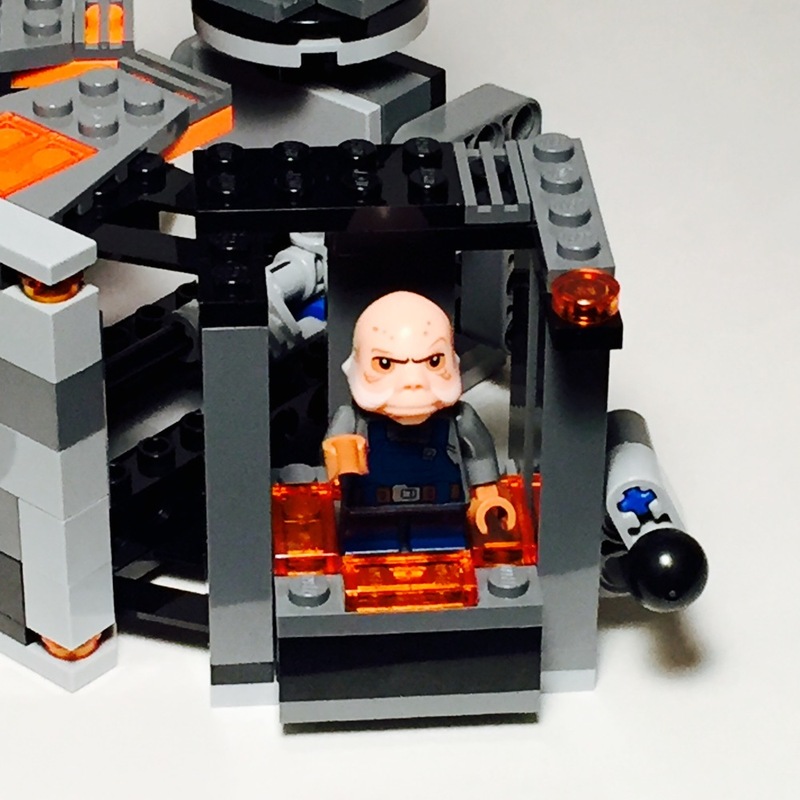 For Star Wars minifig collectors, this set is right up your alley. It includes three wonderful, exclusive, classic original-trilogy minifigures at a great price. On the other hand, if you’re not interested in acquiring the minifigs included in this set, then I would suggest skipping this one. The display and play value of this set is incredibly low.